One device. Many VPN connections. No tech skill required. 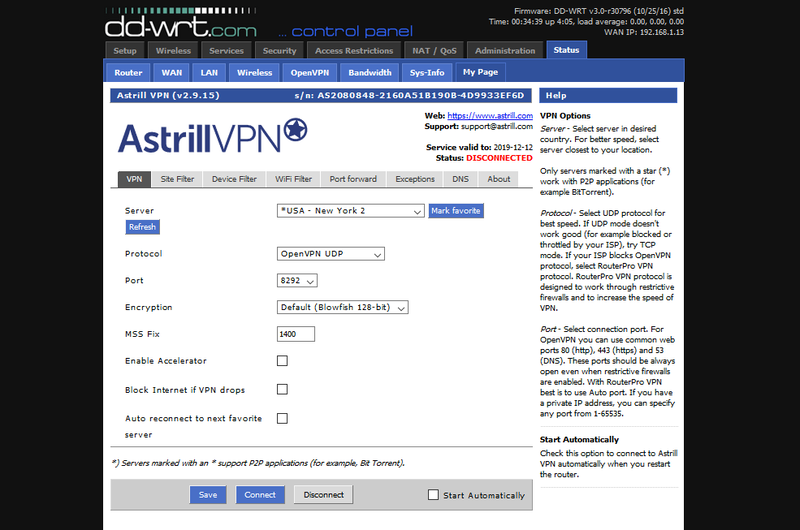 Fastest VPN router software. 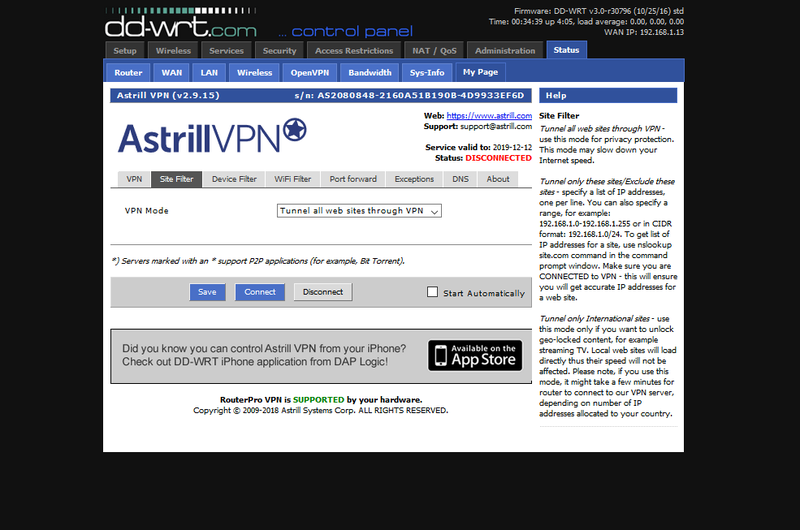 Just install Astrill app on your router. Only for experienced users. No router costs. Astrill accepts the following payments: Credit Cards/Debit Cards (Visa, MasterCard, American Express, Discover, Diners Club, JCB), Bank Wire Transfer, CashU, WebMoney, PayPal, AliPay, Perfect Money and BitCoin. We ship routers worldwide. Expect your routers to arrive within 2 days in China, 2 weeks in USA and 4 weeks in the rest of the world. Express shipping to all destinations is available for additional fee. This is a travel/pocket router. It has only internal antennas and it's suitable for one room or small flat or office. 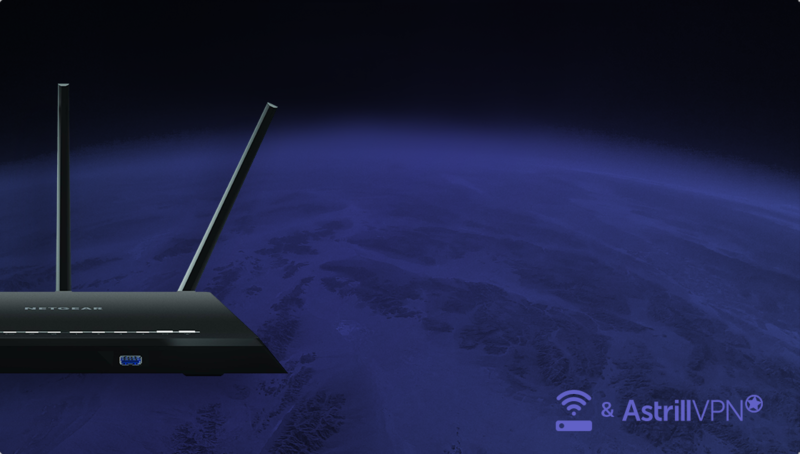 Powerful VPN router with dual band antennas is perfect for speeds without compromise. Suitable for whole household. 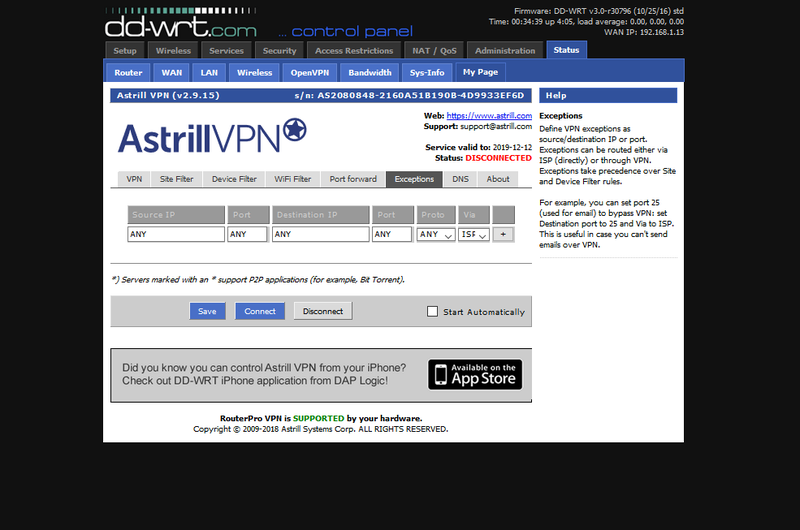 Do you already have DD-WRT router? 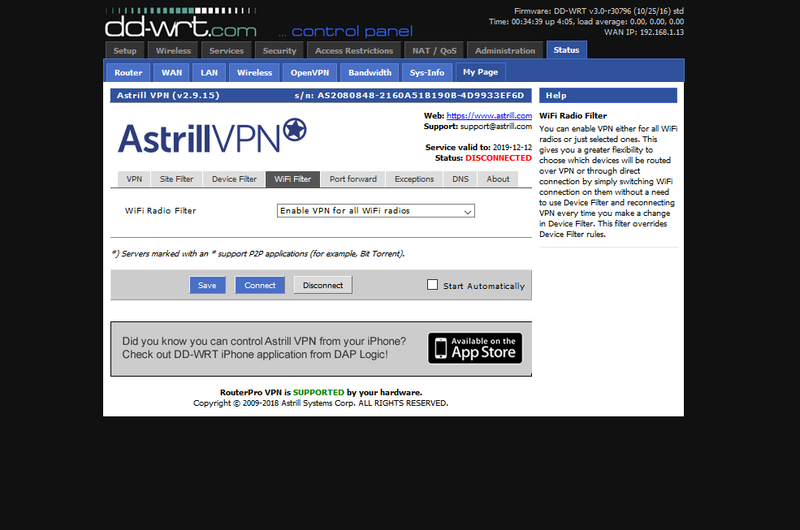 Just install Astrill app on your own router. For delivery to Chinese address it usually takes 2-4 days before package arrives. 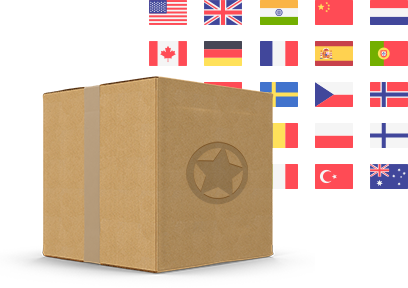 Delivery worldwide is done using express shipping and packages arrive within 4-6 weeks. You will receive a tracking code and instructions how to track shipment once router is shipped to your address. If you provide wrong address and router is not delivered due to your fault, you will have to make a new order. We do not refund orders which are not delivered due to customers fault. If router is not picked up and is returned back to us we charge 50 USD for router to be resent.